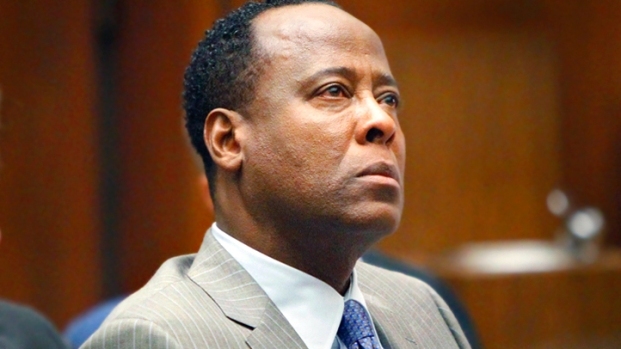 Conrad Murray was released from jail at midnight Monday after serving a sentence for administering a fatal dose of the anesthetic propofol to pop superstar Michael Jackson at the singer's rented Holmby Hills estate. Murray was convicted of involuntary manslaughter for Jackson's June 25, 2009, death at age 50. 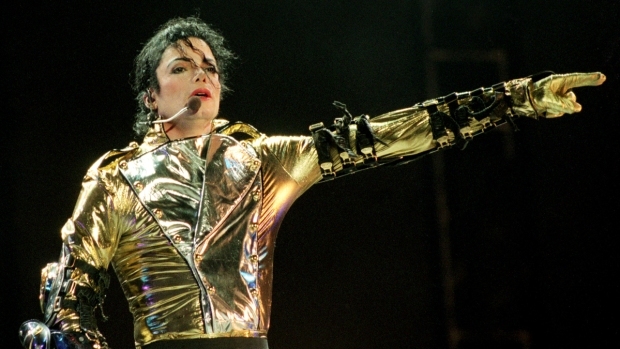 The singer was in Southern California rehearsing for his never-realized "This Is It" concert series at London's O2 Arena. The coroner's office determined that Jackson died of acute propofol intoxication. Murray, now 60, was sentenced in November 2011 to four years behind bars, where he spent most of his time alone and reading books, according to his attorney. He served his time at the Men's Central Jail in downtown Los Angeles. Murray was released after spending roughly two years of a four-year sentence as a result of standard good-behavior credits. Murray was entitled to one day of credit for each day actually served under the California Realignment Act, according to his attorney. An attorney for Conrad Murray responds to fans of pop star Michael Jackson who gathered outside Men's Central Jail near downtown Los Angeles in anticipation of Murray's release. Gordon Tokumatsu reports for the NBC4 News at Noon on Monday Oct. 28, 2013. Several people, including one wearing a "Thriller Killer" shirt, gathered outside the jail to protest Murray's release. Murray attorney Valerie Wass was interrupted several times by protesters as she spoke with reporters about Murray's release outside the jail northeast of downtown Los Angeles. Some of the protesters called Murray a "murderer," prompting a response from his attorney. "If you were not so ignorant you would know he was not convicted of murder, he was convicted of involuntary manslaughter," Wass told a woman who was part of the small group. Conrad Murray was released from jail early Monday in Los Angeles. Gordon Tokumatsu reports for Today in LA on Monday Oct. 28, 2013. Wass said Murray will make a statement "at the appropriate time." "He wants to practice medicine again," Wass said, adding that his spirits were "excellent" when she spoke with Murray Sunday. "He's still working on getting his license back. "He's indicated he wants to keep fighting for justice. He'll do everything he can to get a reversal of his conviction. He's ready to go on to the next level of court, federal court, if need be." Steve Whitmore, a spokesman for the Los Angeles County Sheriff's Department, said the agency had no comment about Murray's release. When Murray was sentenced to four years in jail in 2011, Whitmore said the doctor would likely serve about two years behind bars. Murray's treatment of Jackson was the central focus of the recent trial of a lawsuit filed against "This Is It" concert promoter AEG Live by the singer's mother, Katherine. After hearing months of testimony, a jury decided not to award the Jackson family any damages, finding that while AEG Live hired Murray, the doctor was fully competent to act as Jackson's personal physician. Some jurors said they believed Murray acted unethically by administering the propofol to Jackson, but AEG Live could not be held liable for those acts. After the verdict in the civil case, Murray told the "Today" show in an interview from jail that he was "relieved" by the jury's decision. "I cried because, for once, the world was allowed to hear some of the facts as they pertain to this matter -- a lot of facts that have been suppressed, much of which I was denied and my attorneys could not present during my criminal trial," Murray said. Murray has insisted that he did nothing wrong in his treatment of the singer, with his attorneys arguing during his trial that Jackson himself likely administered the fatal dose when the doctor was out of the room. But prosecutors said propofol should only be administered in a hospital setting with proper monitoring equipment. Jackson referred to the white-colored propofol as his "milk," and used it to combat insomnia. Asked about his plans after his release, Murray said, "I will restart my life and, God willing, I will be a model to show the world that despite adversity, and when bad things happen to good people, they can restart their life and succeed." Murray's medical license has been suspended, but his appellate attorney, Valerie Wass, has said he hopes to regain his license and resume treating patients.